Cherry wood is a very durable natural material, which also means that it can last for decades an even hundreds of years. Since older times, people have used cherry wood to make a wide range of home furnishings. 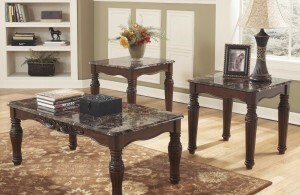 They include kitchen cabinets, bedroom furniture sets, dining tables and other pieces. In this post, I will focus on discussing cherry wood bedroom sets. 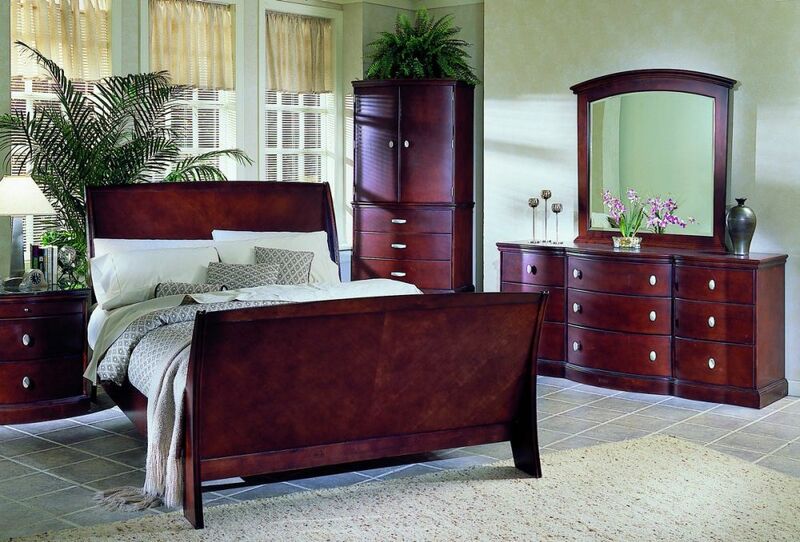 A simple bedroom can look much more luxurious and classy if you decorate it with cherry wood furniture. Over time, a cheery wood piece even darkens naturally to a reddish-brown tone that can result in calming ambience. Comfort, good quality of sleep and sweet dreams are positive things you can get in a bedroom with cherry wood furniture. Antique cherry wood furniture set becomes the secret of this beautiful woman’s bedroom. It consists of queen-size bed frame, nightstand, vanity and small storage. Take a look at the wood pieces which present bold reddish-brown hue, indicating they have lasted more than 70 years. They amazingly still look new and impressive. The bed frame is so outstanding with its tall headboard and footboard; white bedding set complements it nicely. Beside the unit is the nightstand displaying table lamp, alarm clock and books. The bedroom vanity comes with built-in drawers and adorned by a vase of lavender. Meanwhile, the small storage area fills a corner. A few greeneries evoke greater restful atmosphere in the woman’s bedroom. The older cherry wood furniture piece, it will be more beautiful and valuable. However, don’t force yourself to buy expensive cherry wood bedroom furniture set when your budget is limited. Take inspiration from this fascinating white bedroom decorated with affordable cherry wood furniture. 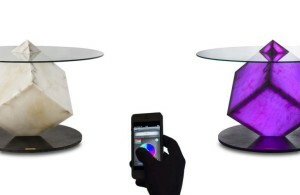 Although not boasting rich color, each piece is already able to bring warm and calming feel into the area. The bedroom furniture set comprises of bed frame, nightstand, vanity and chest of drawers. They combine with white elements, creating a beautiful harmony. The bedroom owner needs to wait for at least ten years to see the cherry wood furniture darkens and transforms into more luxurious components. 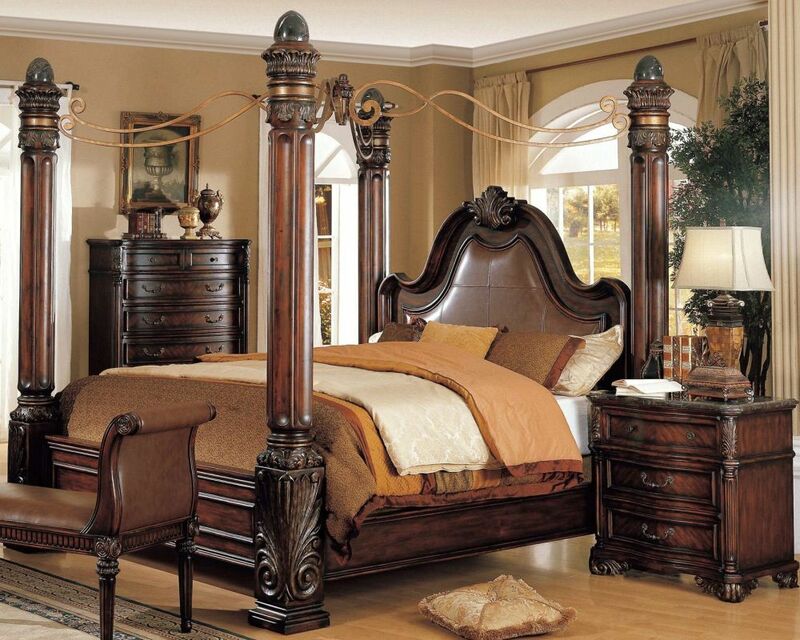 You may be wondering about another factor determines the beauty of cherry wood bedroom furniture set. Well, you should know that cleaning also takes great role. It’s very important to clean all pieces of any dust and stains regularly by using a soft cloth and oil soap. Proper cleaning will even make them more durable.